Greetings! 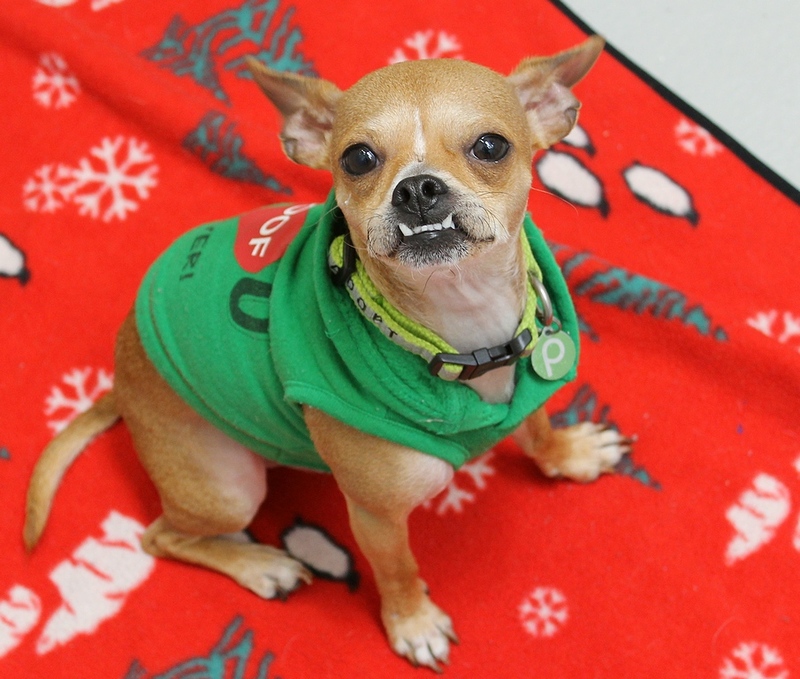 My name is Salvador Dogi and can’t we all agree that my underbite is the cutest in all the land?! The name of course is taken after my favorite artist with that funny mustache (who I model my own whiskers after of course)! 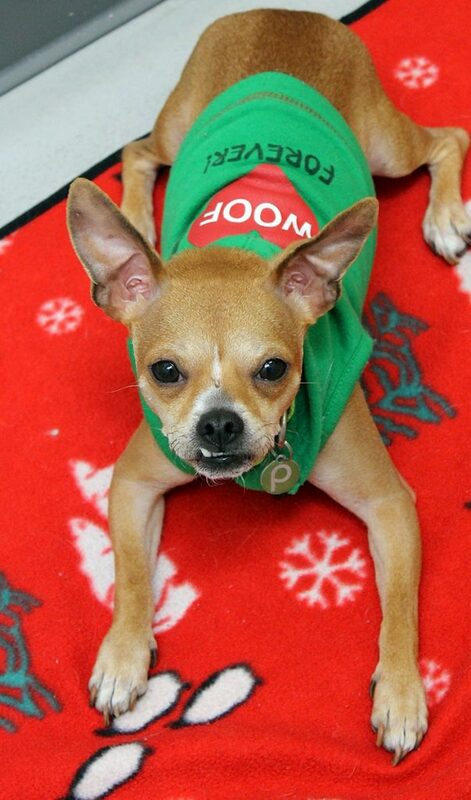 Going by the name Sal for short, I am a 5 year old Chihuahua mix weighing in at around 12lbs. Just like my artist counterpart, I am an eccentric fellow who is always so happy go lucky and excited to meet new people! I am an energetic lad and I would love an active household, preferably with a yard so I can run around to my heart’s desire, but I am in foster in an apartment and do just fine with my daily walks too! I do well in playgroups with my doggy friends and am quite the silly guy. I am happy to meet my human pals over 10 and those kitties too. After a long day of activity, I would love to curl up on the couch with you and catch some zzz’s. 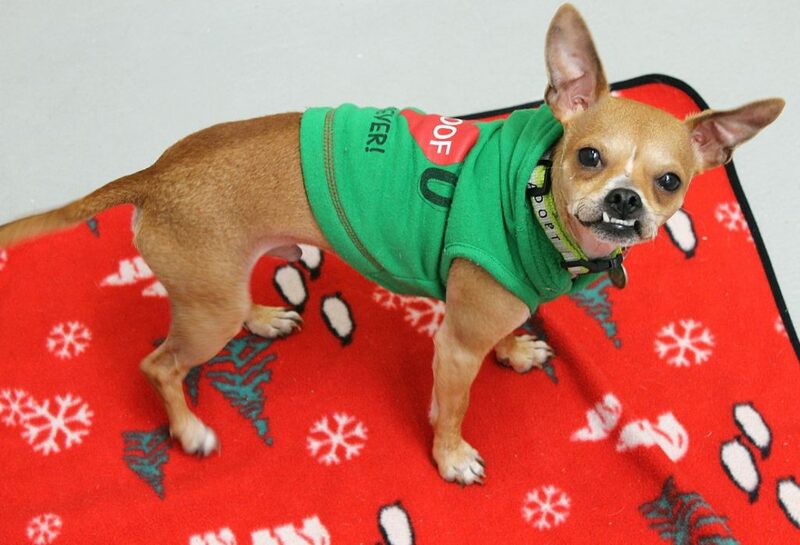 Overall, I am an excitable, hilarious, and silly guy who loves to play! There is nothing surreal about it, we are just simply meant to be! So fill out an application today to set up a meet. I come to you neutered, vaccinated and micro-chipped with an adoption fee of $350.